Best Web Design Ottawa - Web Design Ottawa - Mobolo Inc.
Finding a Best web design agency In Ottawa is hard work. Looking for one of the best web design and development company based in Ottawa, Canada? Mobolo designs websites and then nurtures them to make sure they stay relevant and helpful to potential customers. We have your needs covered. 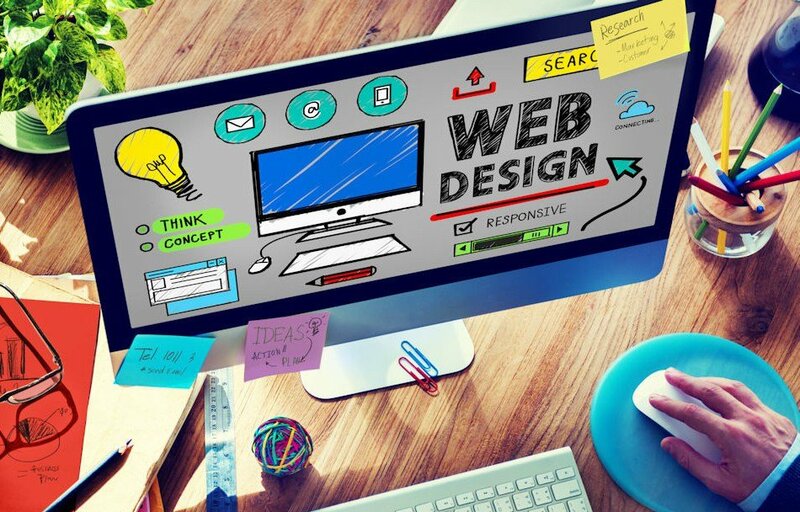 Whether you’re looking to re-design a website or you’re interested in creating a new website, our experienced designers can help. We have years of experience in designing, building, managing and running websites. Let us guide and help you. The online world can be very confusing, we provide genuine and helpful advice to our client to help their business improve year after year. Mobolo creates responsive designs using the latest technologies. We don’t believe our clients should be stuck in the past. We will help you create the online identity that reflects your products and services. It all starts with a sophisticated and fully-responsive website that performs on all popular devices. We believe that simple and elegant design has the power to improve any business. We have an established process and build websites that serve their visitors day after day. We start by understanding your business and then create meaningful websites which can highlight the impressive features and benefits of your product or services. This simple yet practical approach helps with customer engagement which over time will lead to increased conversions. We care about each and every project we work on. before giving it a final touch. When creating websites, we think to ourselves: what would the best web design company in Ottawa do? WE WILL CREATE A RESPONSIVE WEBSITE FOR YOUR BUSINESS FOR ONLY $50/MONTH. We offer you responsive website design services and also tell you how to make responsive website. Responsive website is a kind of website that regulate to the mobile device of every and individual guests like, desktop, laptop tab or smart mobile phones. It can animatedly design to re-size its content as well as imagery for various screen sizes constantly to make sure the website is efficient and simple access on each device. Why do we recommend responsive web design? No more distorted website practice for your clientele. The best web design Ottawa needs to show users what they want to see ASAP. This changes for every business. With proper responsive design, users can do more than view your website. They can interact with it in a way that doesn’t waste their time. This could mean booking a meeting, viewing pricing information or getting a better understanding of the services you offer. Why you require Responsive Website Design? Website that offer horrible experiences on mobile devices (think: iPad, Tablet, iPhone, Android…) lead to missed opportunities. No more zooming in and out of a website. Responsive websites resize according to the screen size of your device. Improve the user interface experience of your users will assist in expanding your business reach and accelerating your business process. According to most recent release from the search engine massive – Google, Mobile openness is one of the ranking aspects used as search engine result pages ranking signal. Effective and simple method to improve your business operations using the rapidly growing mobile platform. MOBOLO OFFER CREATIVE SOLUTIONS MORE THAN YOU WOULD EXPECT FROM AN IDEAL DESIGN AND DEVELOPMENT SERVICES PROVIDER. We appreciate your business outline and necessities previous to designing and developing an eye catchy responsive websites. We recommend modern and quality responsive websites at the reasonable industry rates. We assist you in enhancing as well as boosting your website position in mobile search results. We make use of newest technologies as well as tools to improve your receptive website designs. Our attractive website designs are future ready designs to hold up current as well as future mobile devices. As well as designing and building fantastic websites, We manage the hosting and email management for our clients. Why have a website designed with us and have to sort out your own hosting and email setup when We can manage everything in one place? One point of contact for everything. We try to make everything as simple as possible, let us deal with the techie stuff and you can focus on growing your business.we offer best web design ottawa. Website Security :- Hacking is a growing concern for on-line businesses. As attacks adapt and become ever more sophisticated by the day, it is more important than ever to take measures to protect your websites against hidden viruses and malicious software. Mobolo will make sure you have the defences you need, utilising the latest security software to prevent hackers from gaining access to your site. Website Backups :- It is extremely important to ensure that your information is backed up in order to avoid losing hard-earned work. Mobolo will perform regular and thorough backups of your site so that it may be fully restored in case of loss. Online Consulting :- We’re here should you need us for consultation and advice. We’re not just experts in building websites, we are also experts in the web. We’re aware of what other sites are doing and what is possible. We will share what we have learnt from other projects and from the industry at large. You can then decide which of these ideas apply to your business. Website Management :- We will monitor your website functionality to ensure that everything is working as it should and upgrade where necessary.we manage best web design ottawa. Website Monitoring :- Monitoring your website functionality to ensure that everything is working as it should and upgrade where necessary. Some functionality may become outdated and no longer work with the newest version of your website software. Function may need upgrading to accommodate the newer version, or become obsolete with the improvements in the website software. Find out why thousands of businesses have chosen Mobolo Inc.
You can expect a better looking design. You will get a custom design. It will save you a lot of hassle. Increased visibility in search engine results.